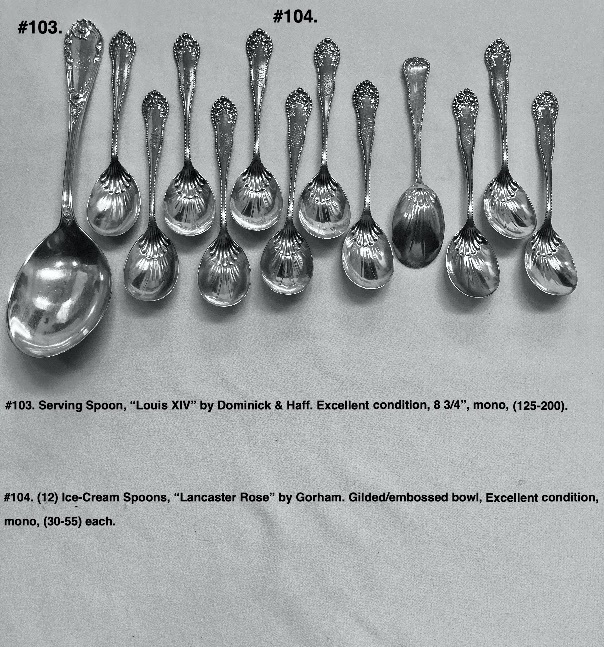 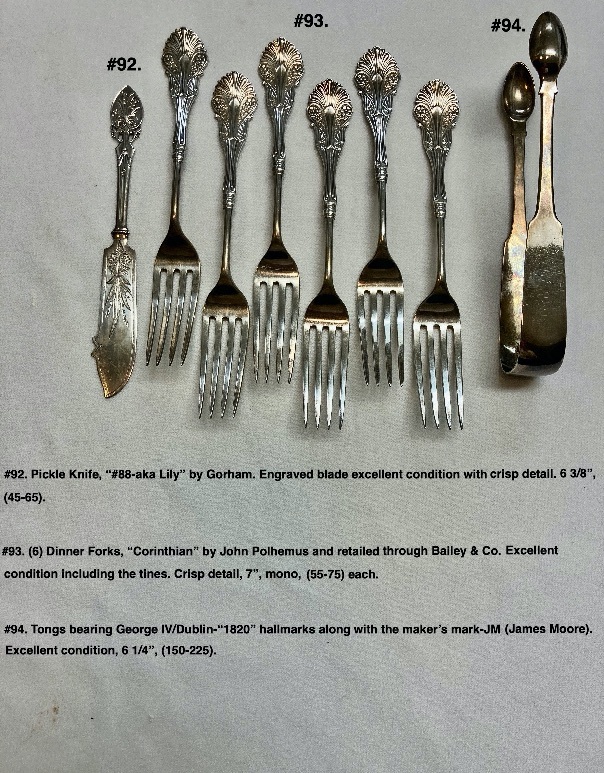 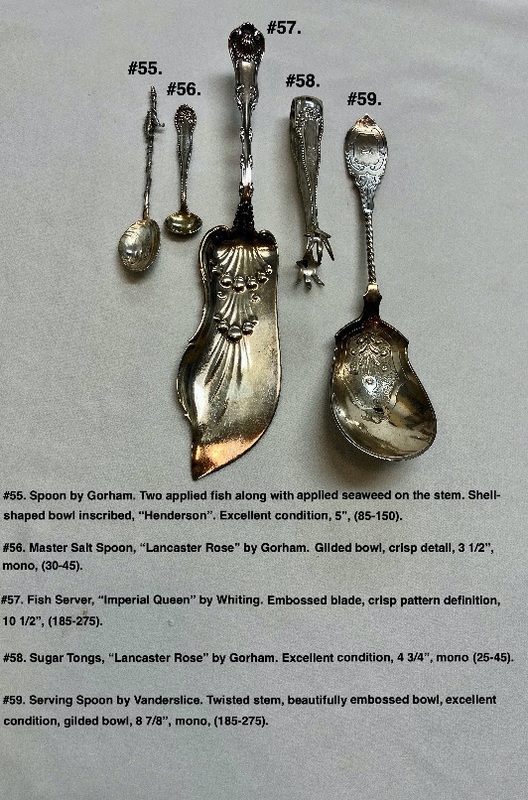 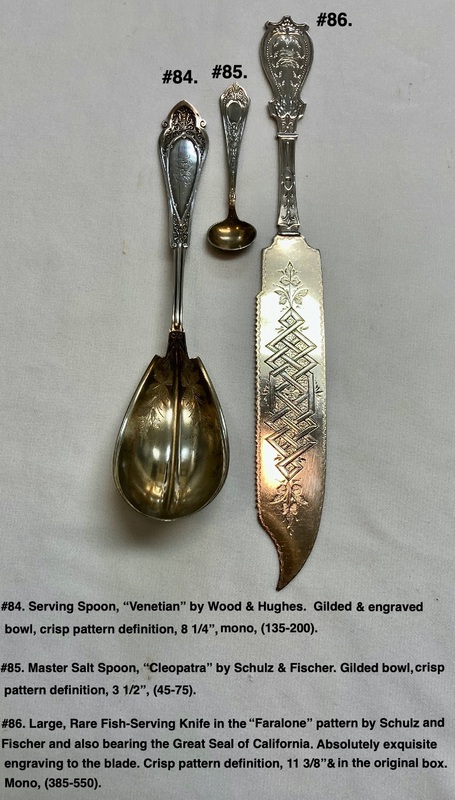 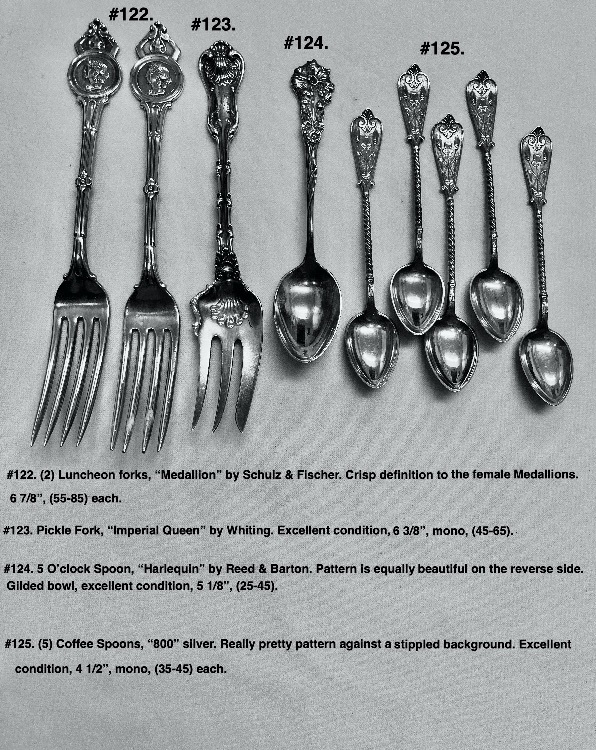 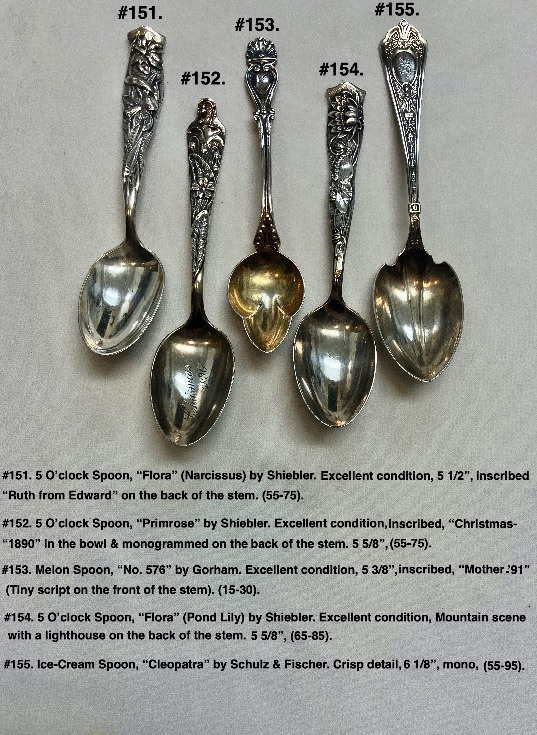 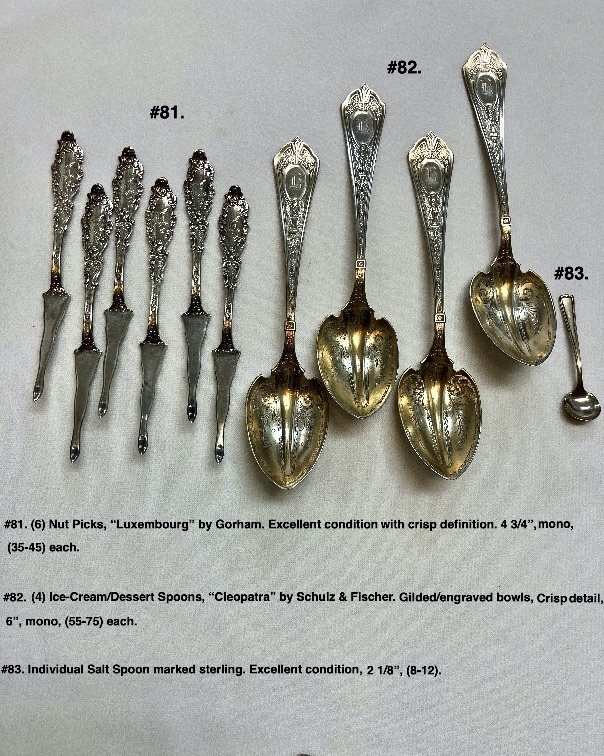 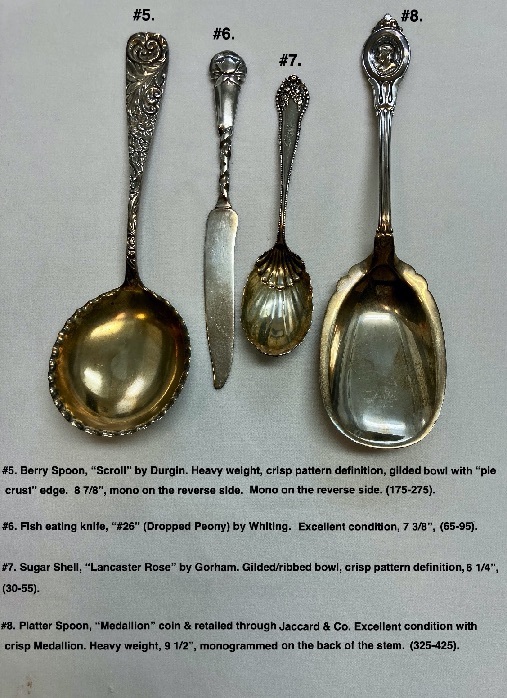 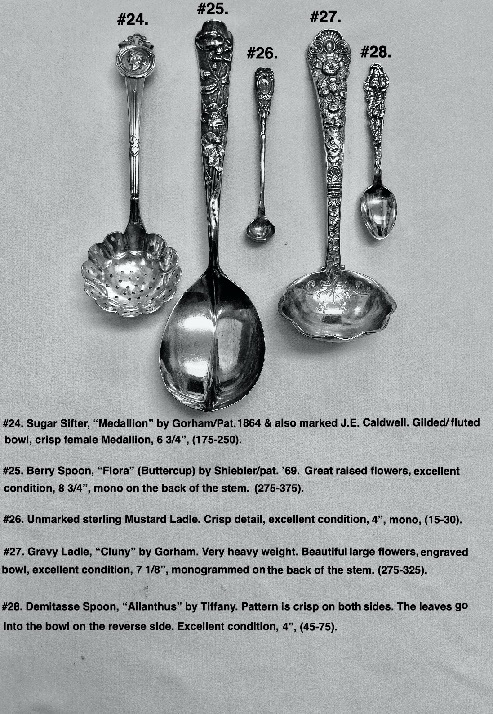 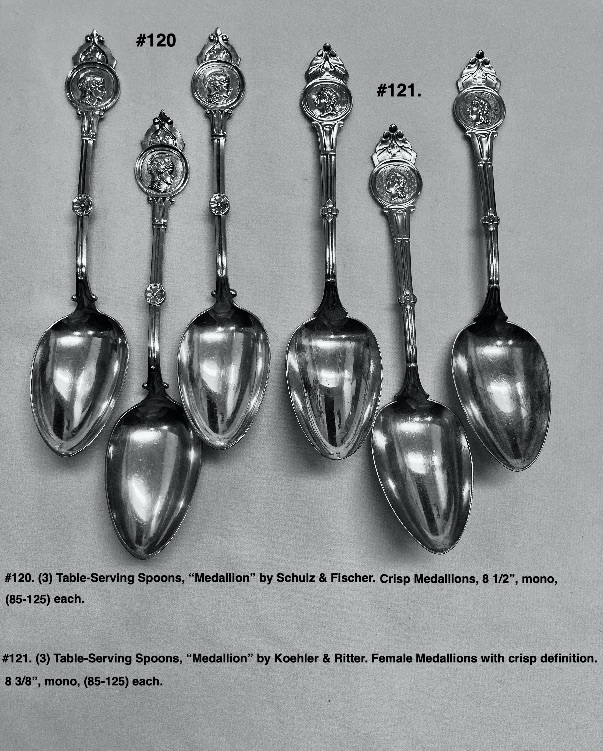 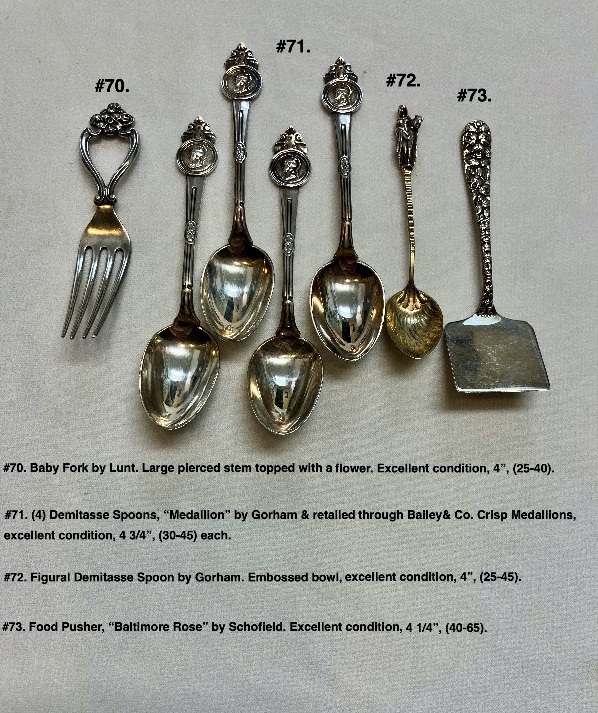 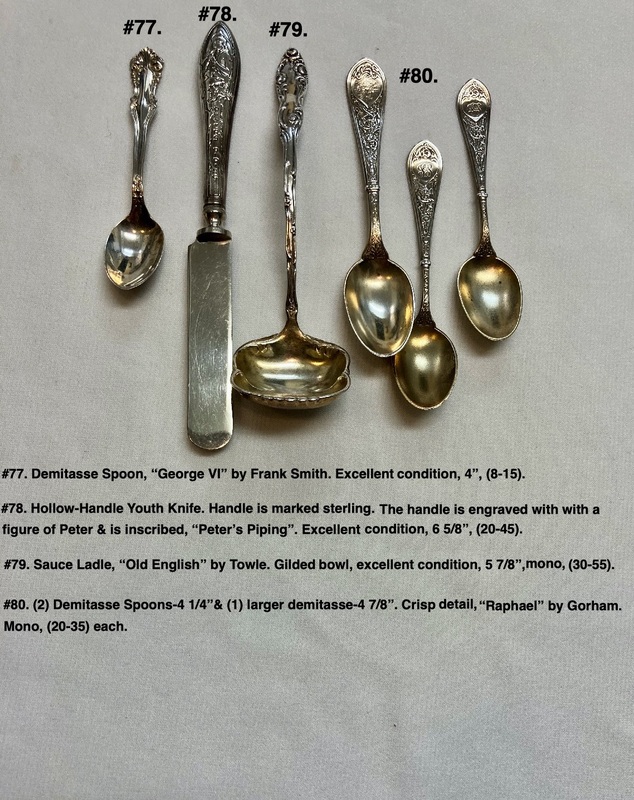 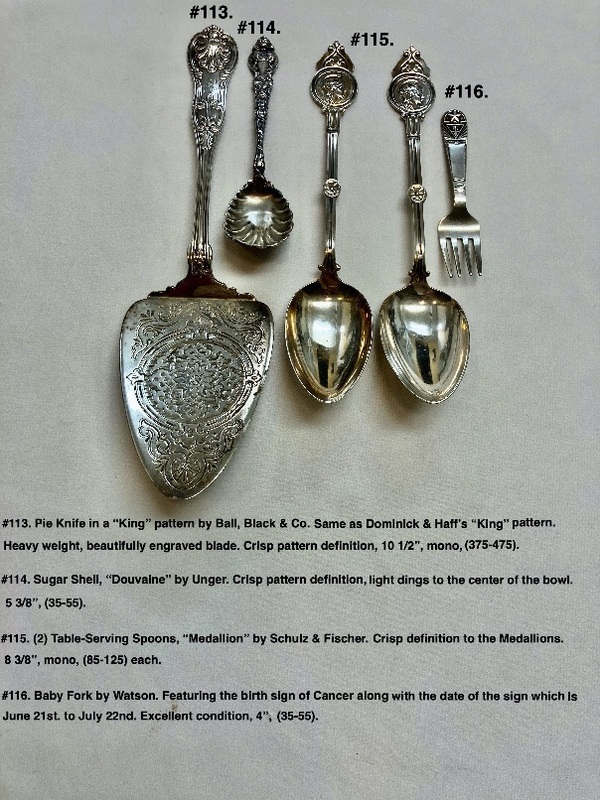 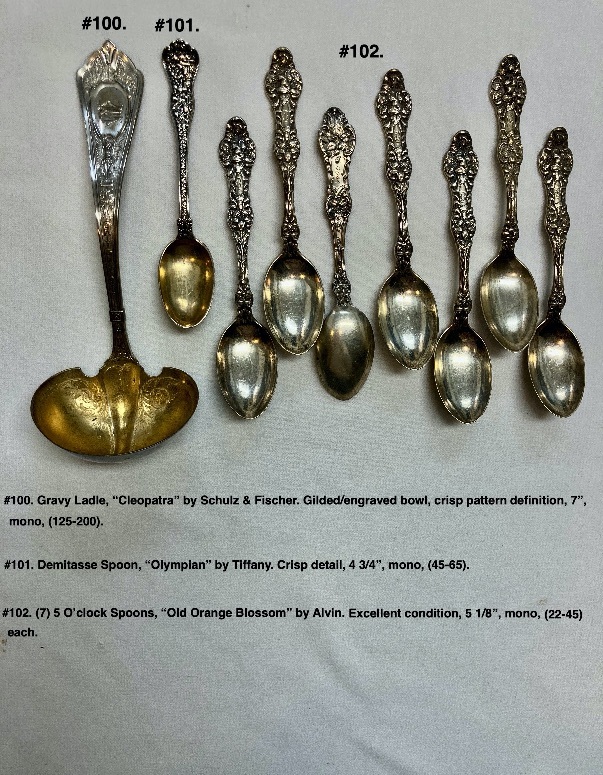 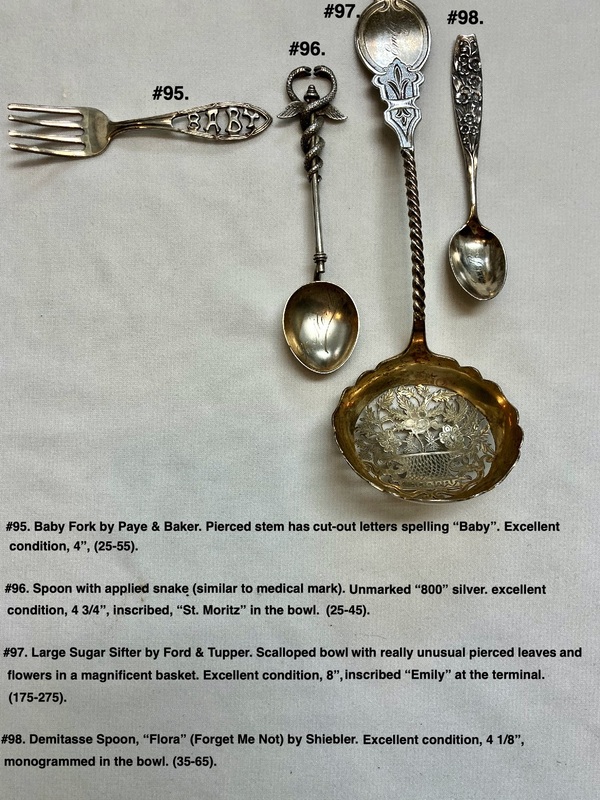 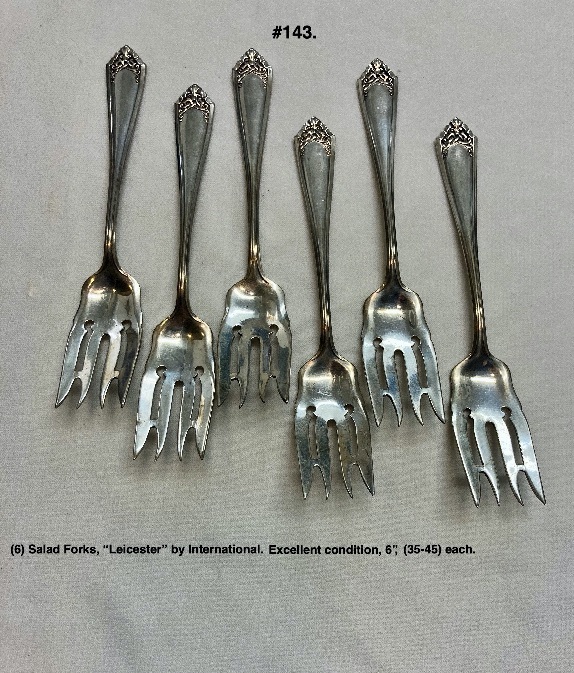 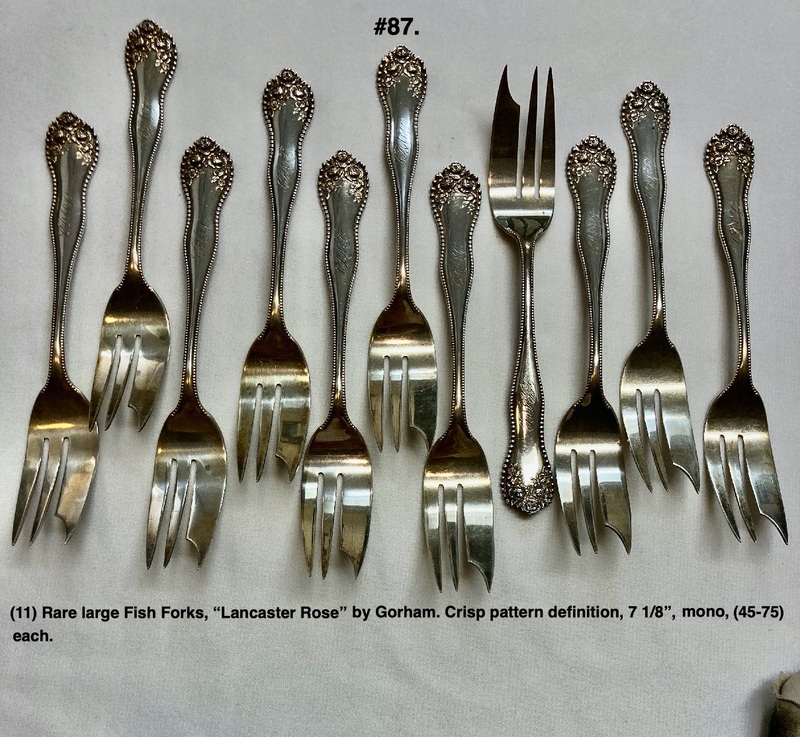 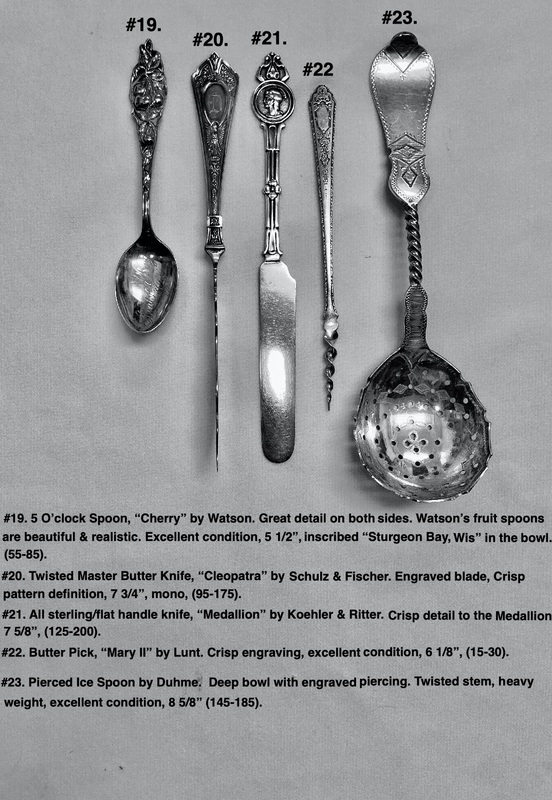 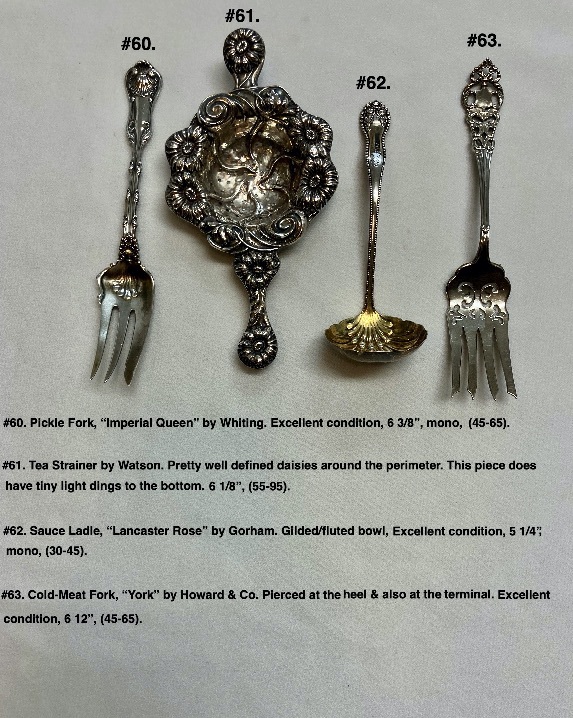 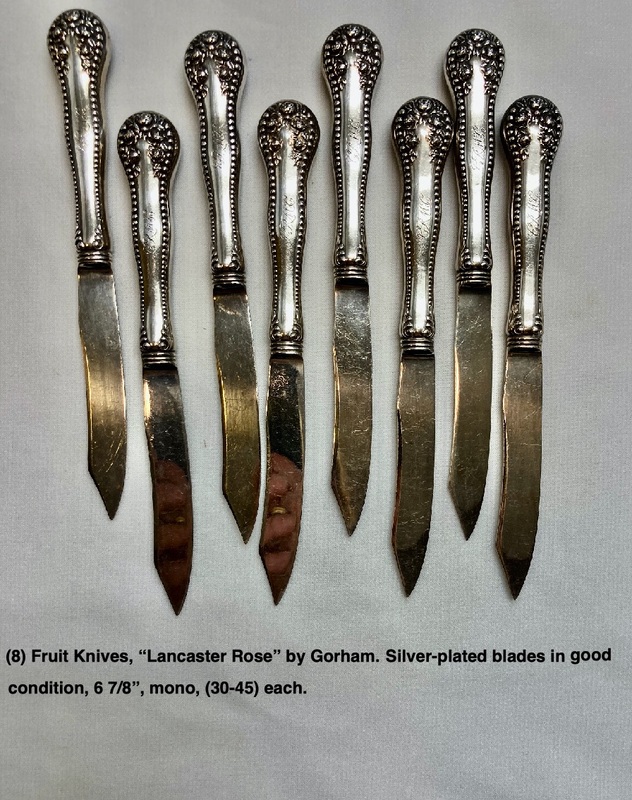 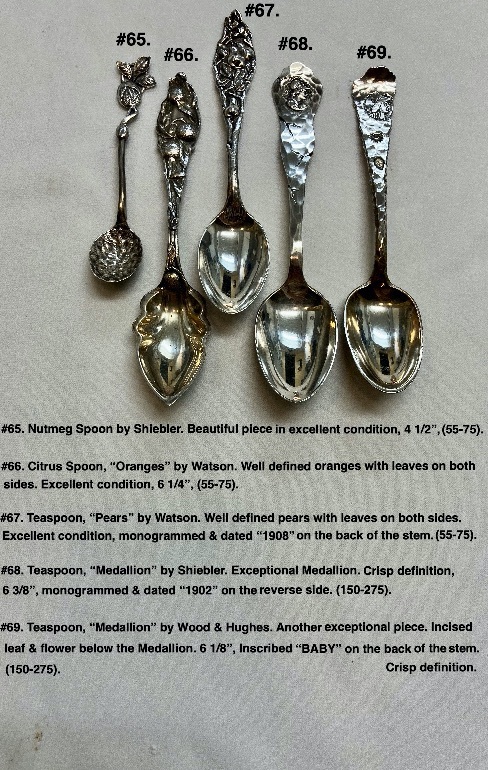 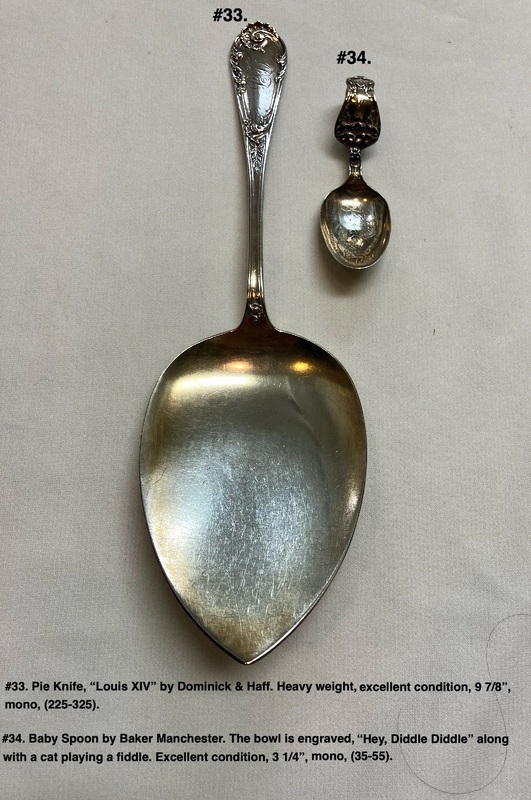 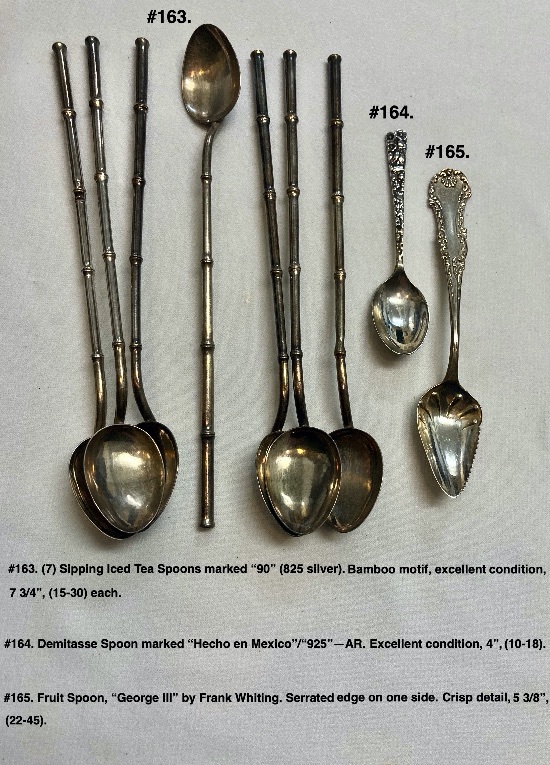 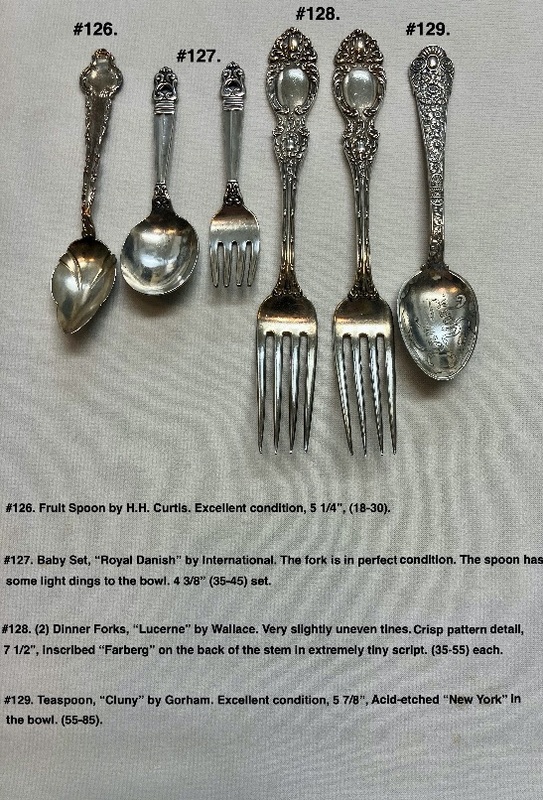 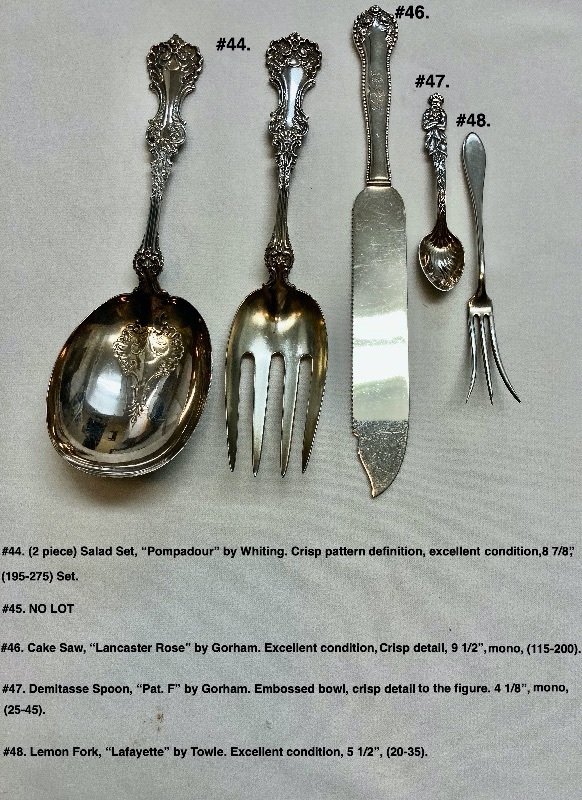 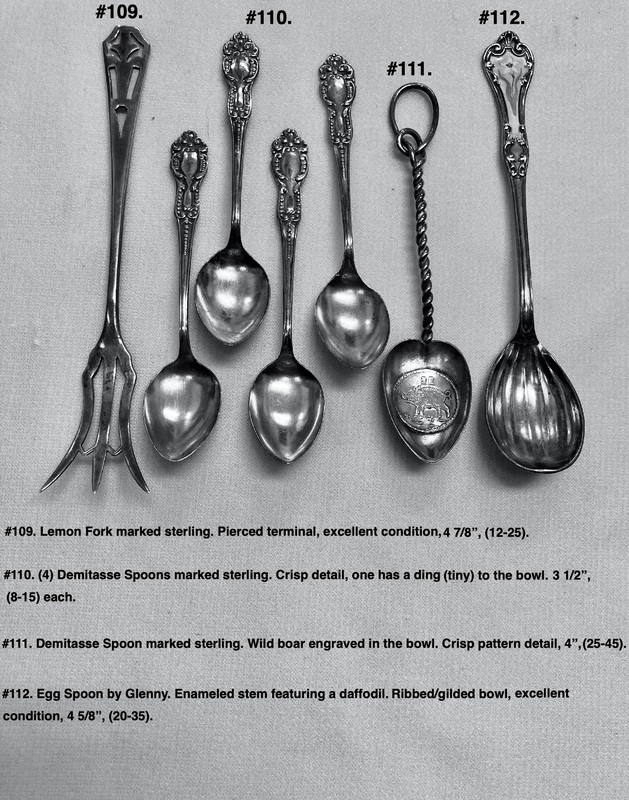 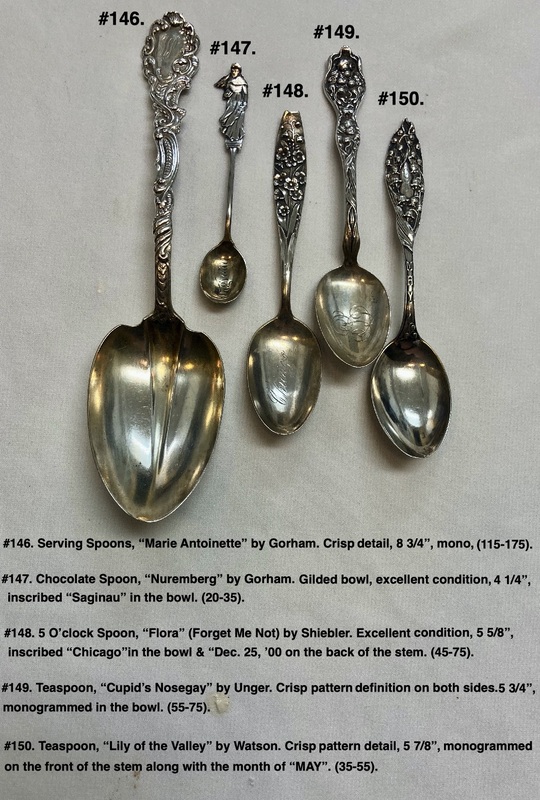 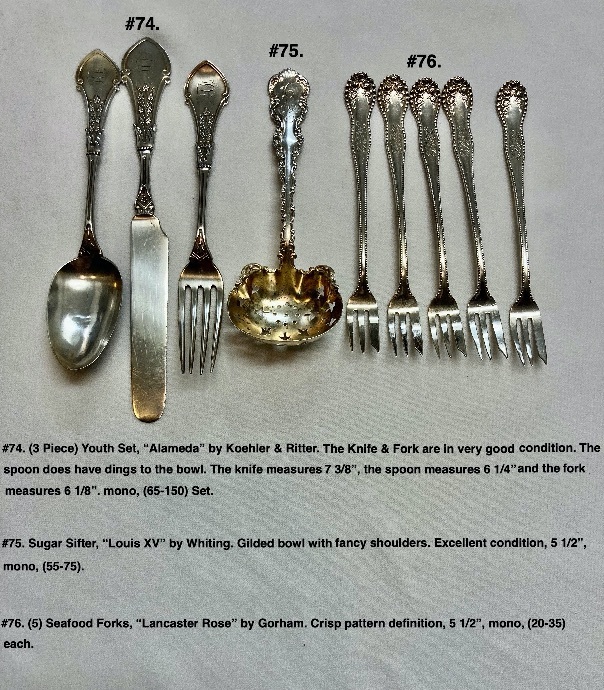 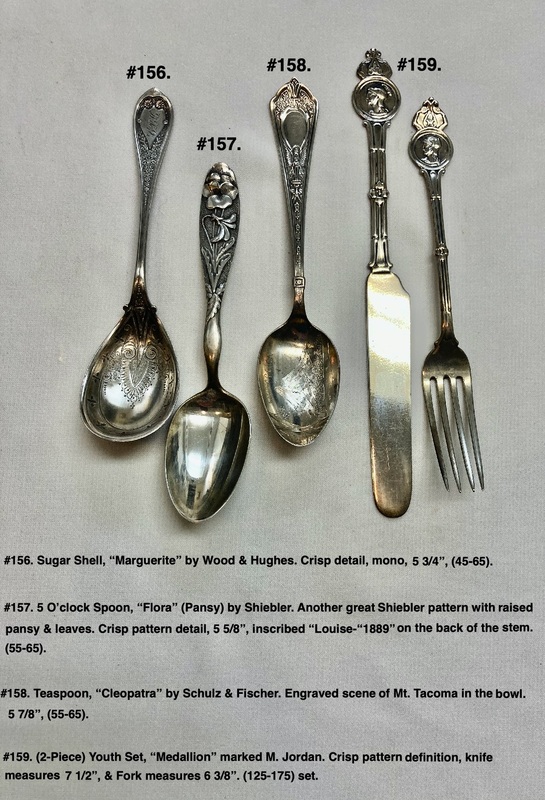 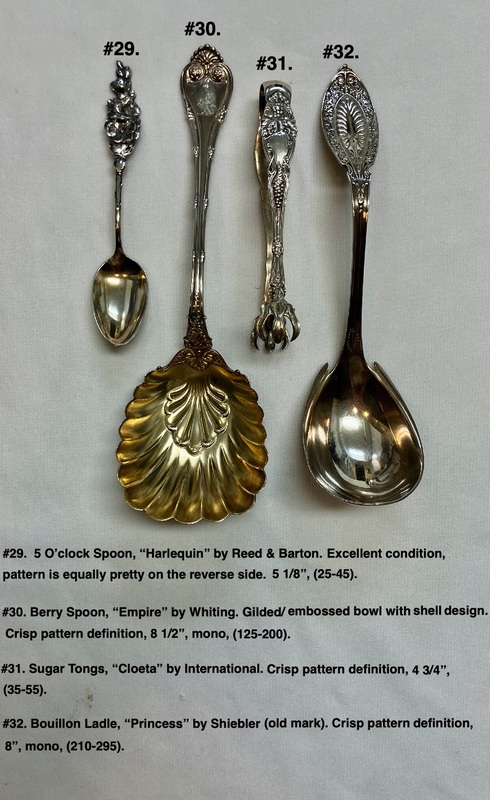 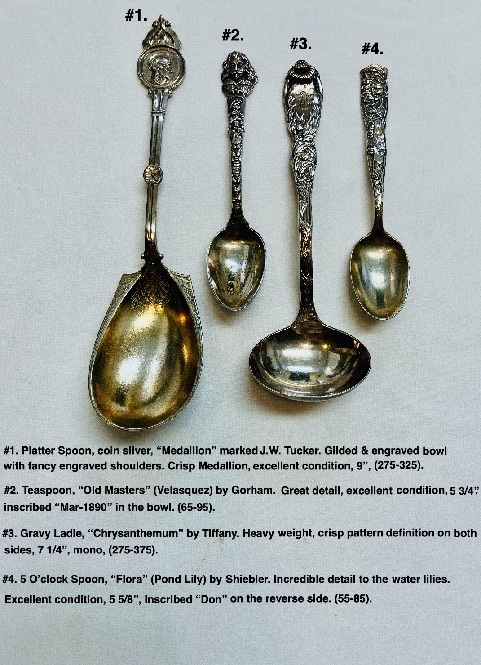 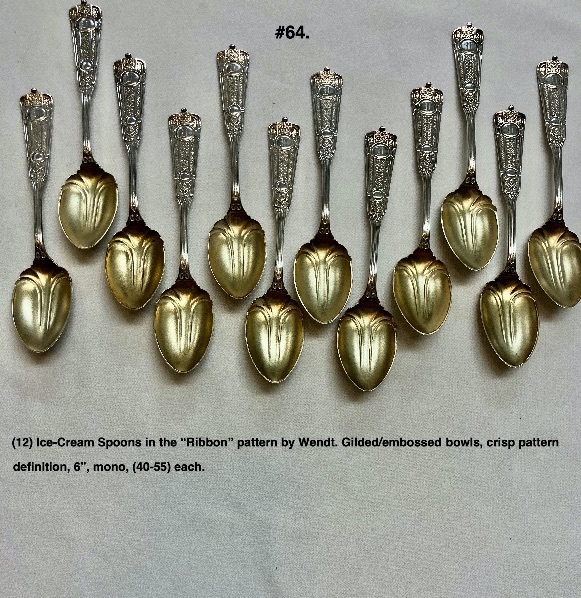 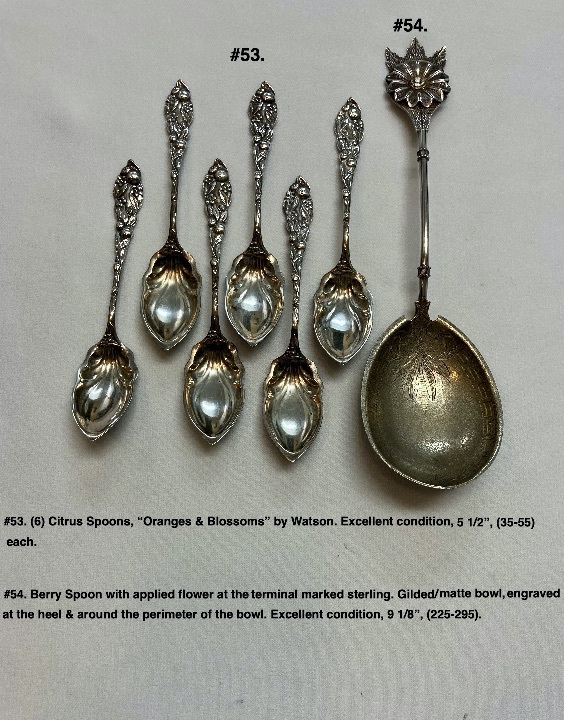 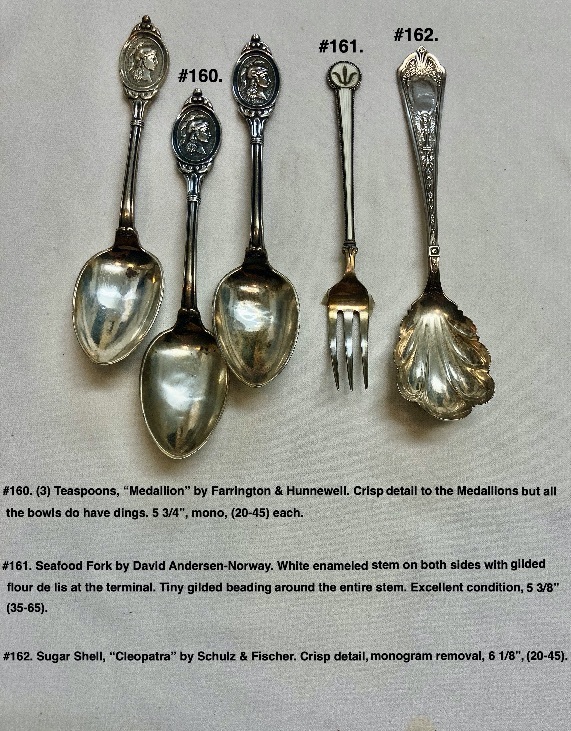 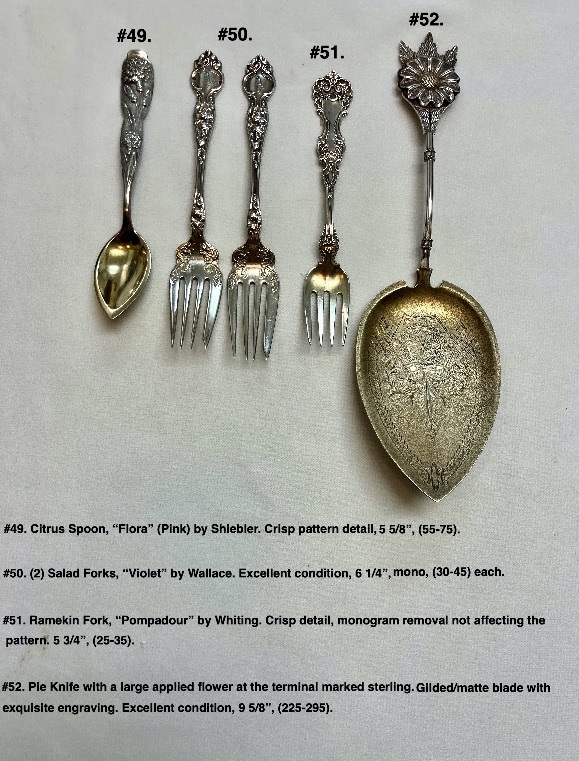 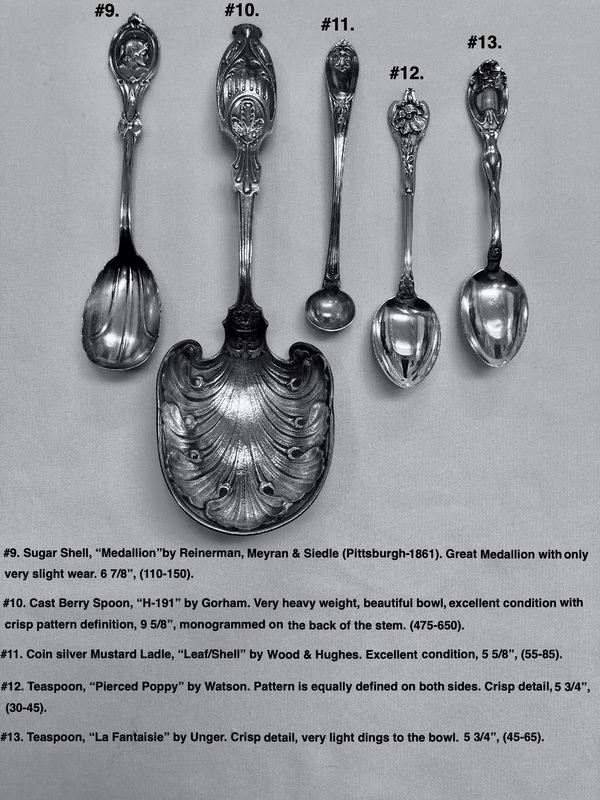 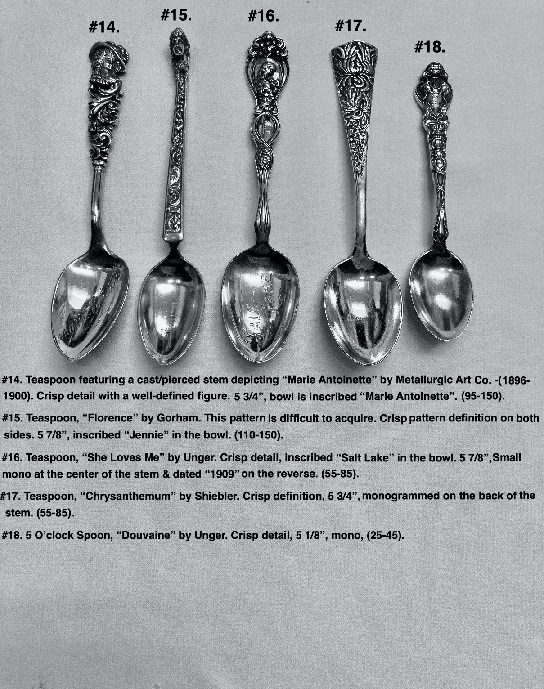 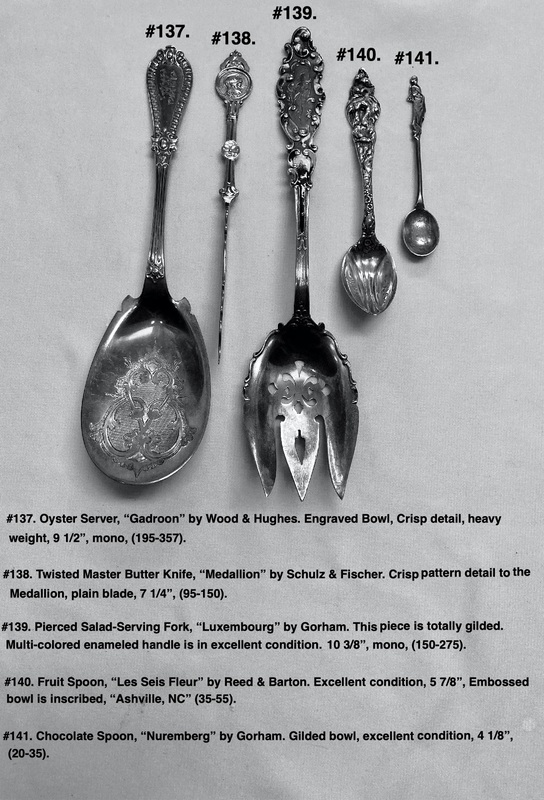 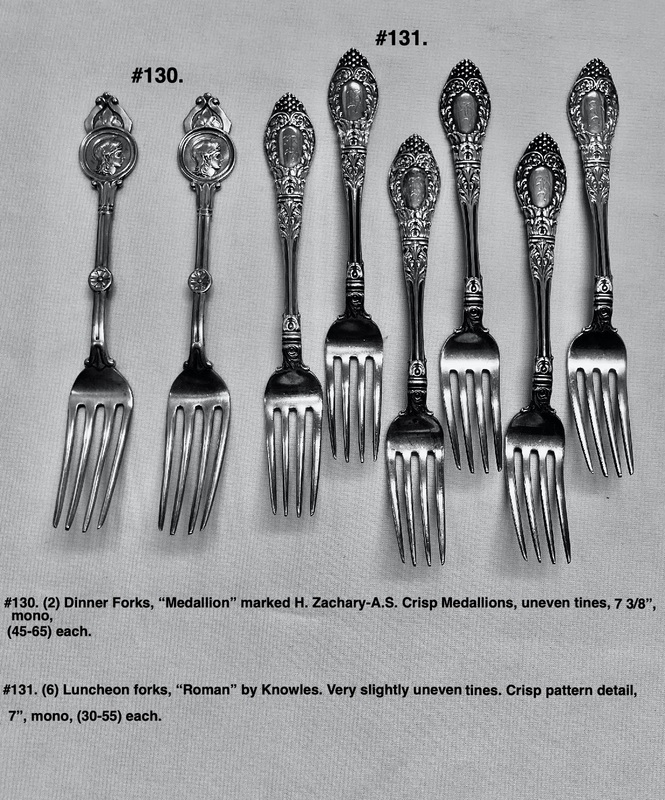 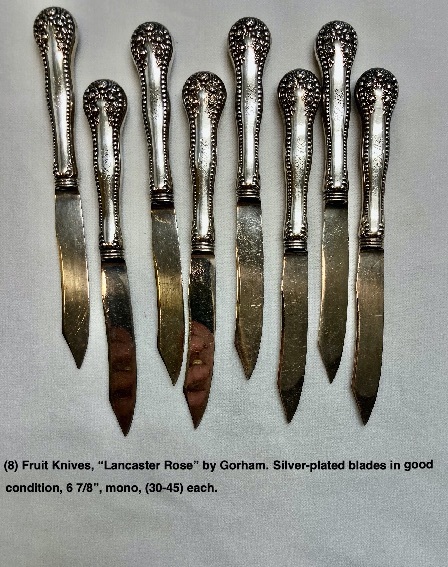 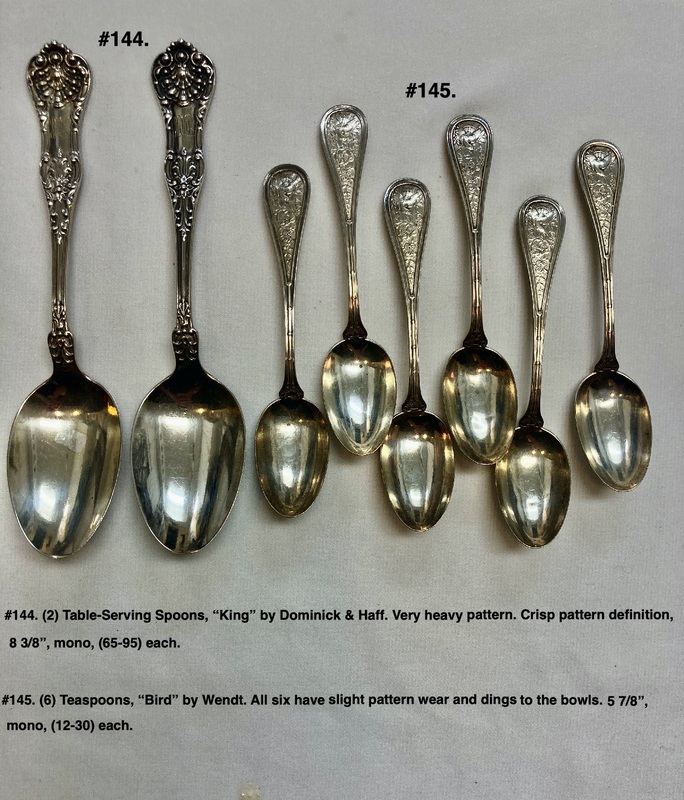 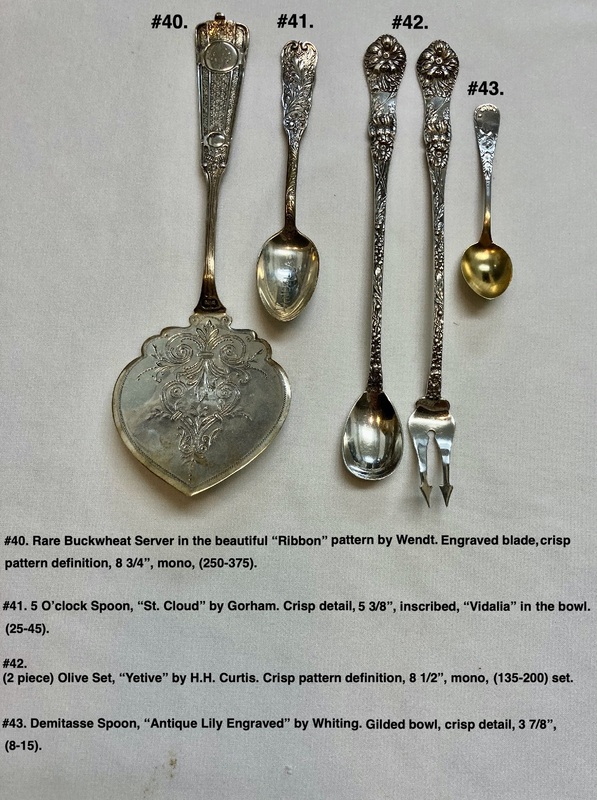 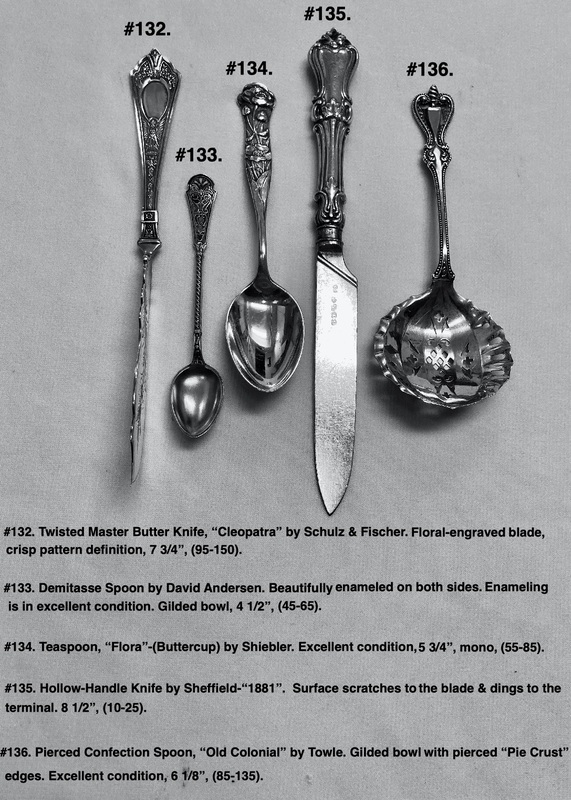 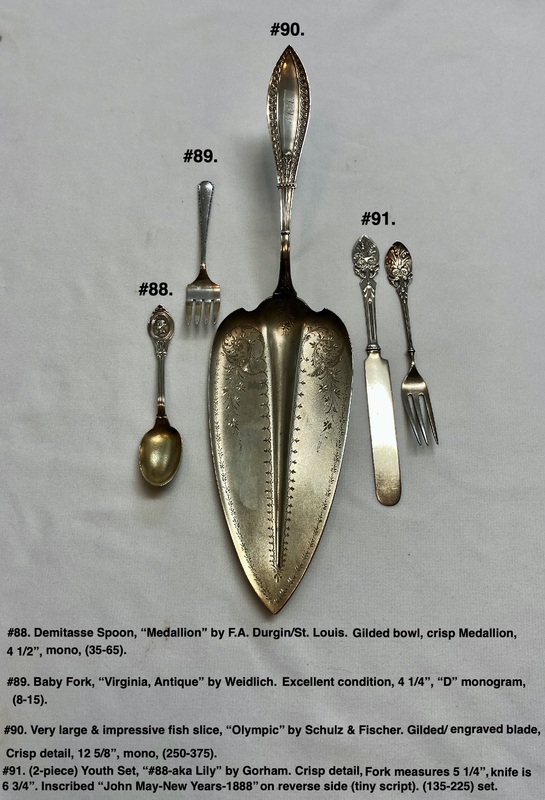 Online Auctions featuring Antique Sterling Silverware and Flatware, silver and silverplate. 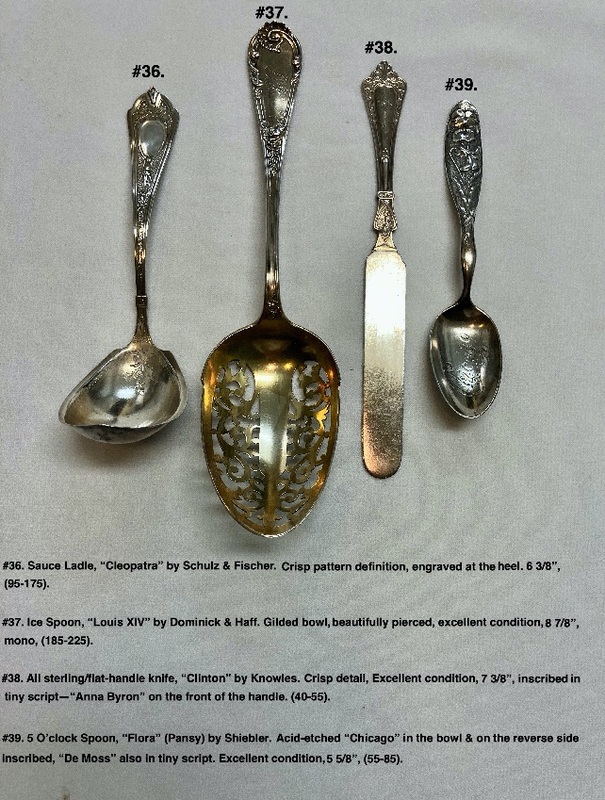 Bids may be emailed, faxed or PHONED. 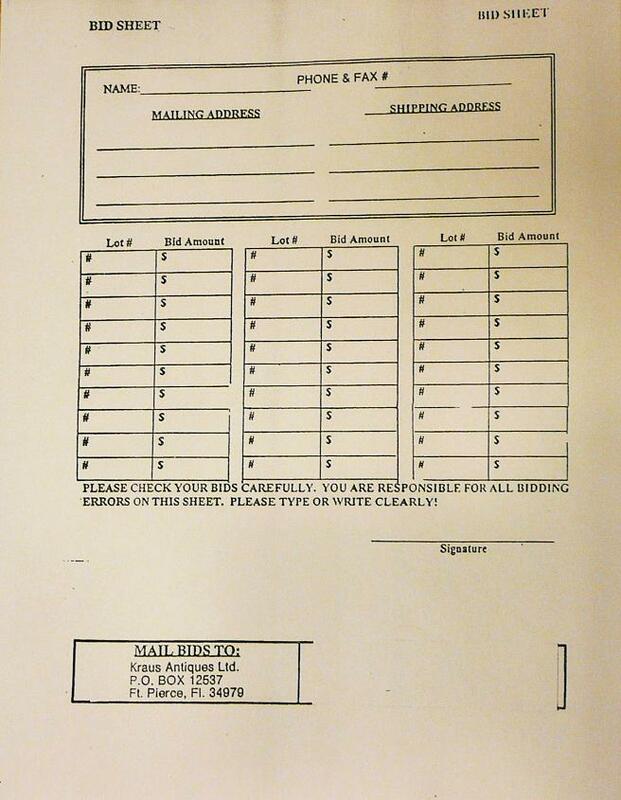 Please be sure to include NAME, ADDRESS, TELEPHONE/FAX NUMBERS AND EMAIL ADDRESS. Also, let us know patterns, companies etc. that may be of interest to you. Click on the links below for PHOTOS, FULL DESCRIPTIONS, TERMS OF SALE OR BID SHEET. Please email or call to request your complimentary catalog or simply email your bids. 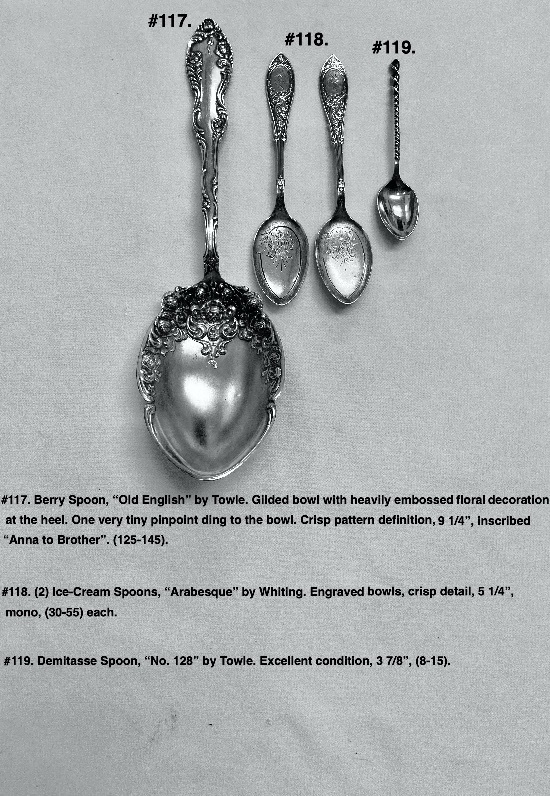 If you do not receive our catalog, you may download the bidsheet and either fax or mail it to us. Bids may also be emailed. 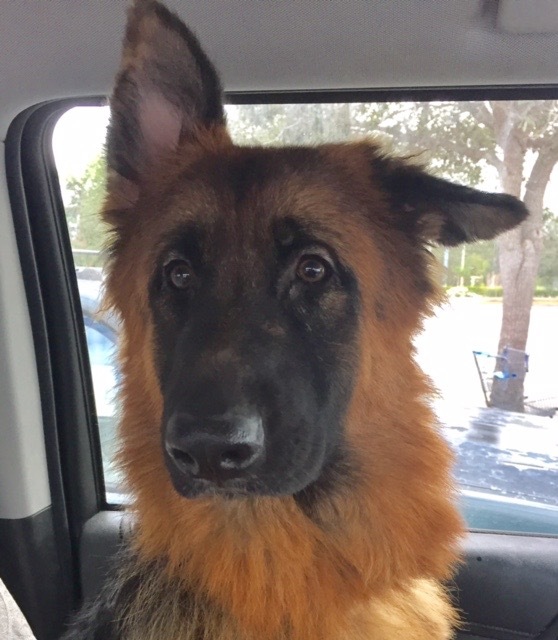 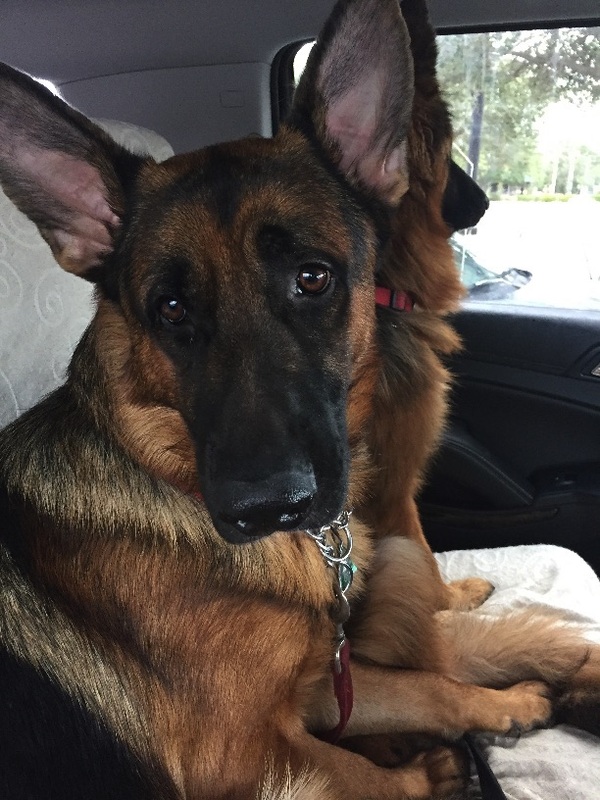 Click on the photos to enlarge, then click again to further enlarge the photo. 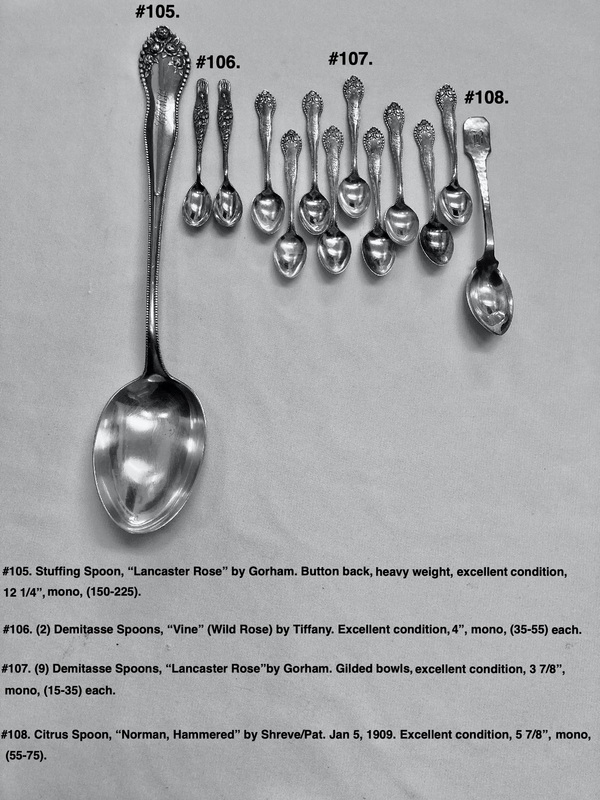 Please note that shadows seen on some of the pieces are just reflections. Our auctions feature obsolete and discontinued patterns by Shiebler,Gorham,Whiting,Wendt,Tiffany,Albert Coles,Polhemus,Alvin,Durgin,Wood & Hughes,Reed & Barton,Towle,International,Watson,Frank Smith,Knowles,Hamilton & Diesinger,Frank Whiting, Mt.Veron, Wallace,George Sharp,James Watts Etc.